What do we have here...? Kidrobot, makers of limited edition designer toys and other nifty things, are teaming up with Capcom to produce a pair of Mega Man vinyl figures. 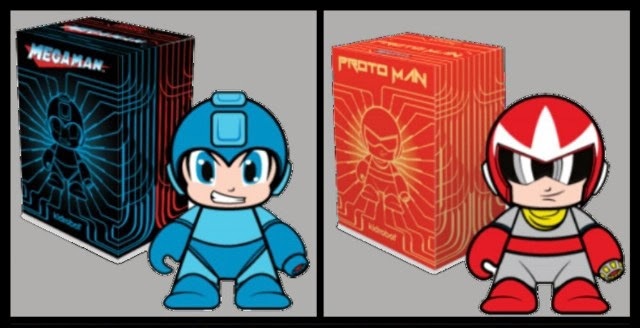 While not officially announced, Mega Man and Proto Man 7'' tall vinyls were recently teased on B&C Toys' Instagram feed, seemingly implying a future release. The piece above conceptual art; we don't have an image of the actual figures just yet. 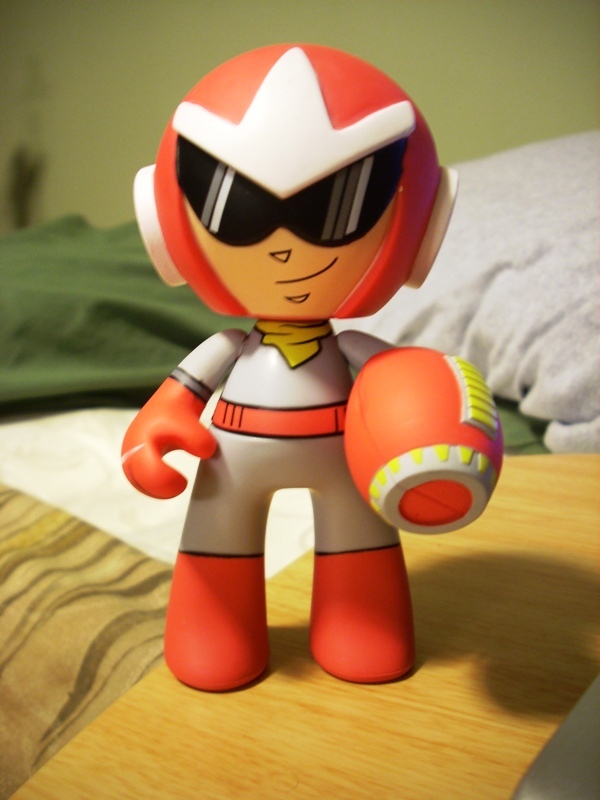 If you weren't too keen on Jazware's take on "urban vinyl" Mega Man figures, you might find Kidrobot's efforts far more admirable. Hopefully Mega Man and Proto Man here won't disappoint. UPDATE: Destructoid has obtained a batch of assets from Kidrobot. 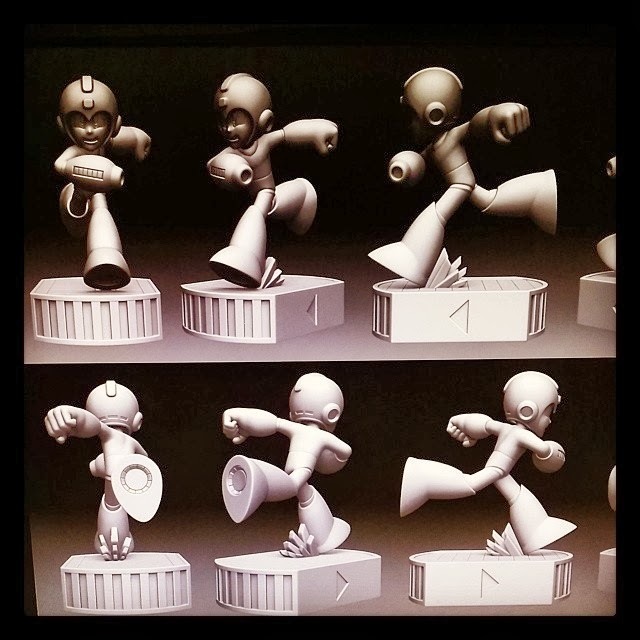 There's artist renderings of an entire line of Mega Man figures (Robot Masters!) along with itemized product list and prices. Head over and have a look! 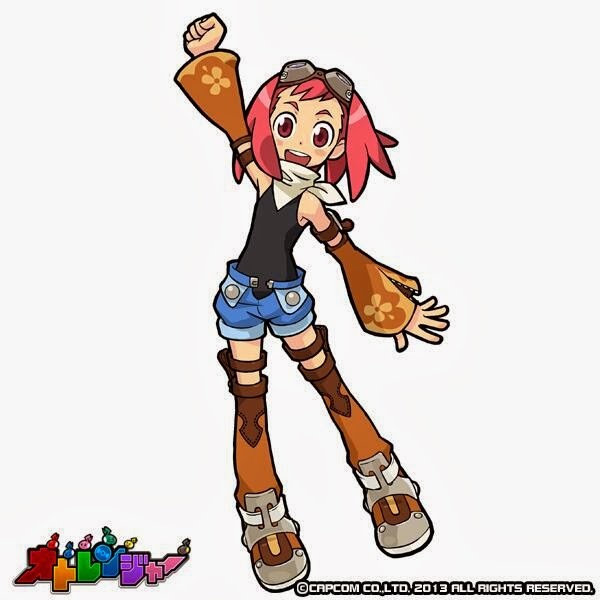 In case there was any doubt before, Mega Man Legends 3 heroine Aero is indeed joining the colorful cast of Sound Rangers fighters. According to a few tweets from the Sound Rangers team, she will not be distributed via "gacha"; an in-game feature where characters are won at random (like Roll and Tron Bonne). Instead, the developers imply she be distributed as a gift for some unannounced event. We'll be keeping an ear to the ground, of course. At this point, it's still difficult to say why the spotlight has fallen on Aero. 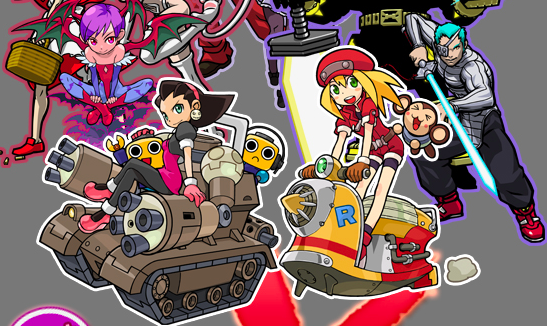 Optimists say this is a sign of good things to come from Mega Man Legends 3. 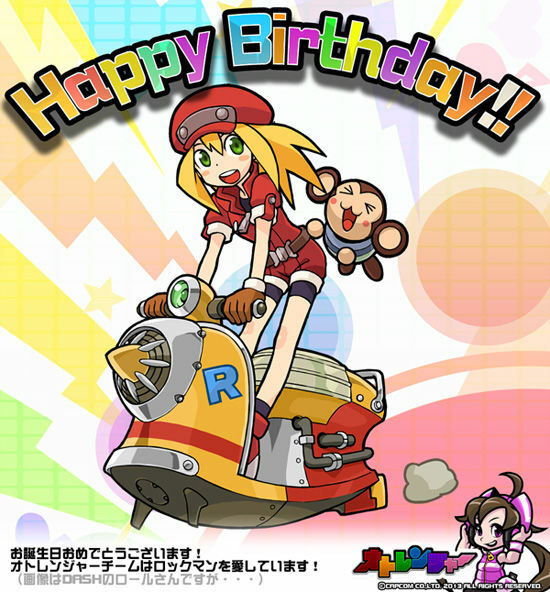 But perhaps the real reason for her inclusion is far simpler: maybe someone on the Sound Rangers team had worked on Mega Man Legends 3, and decided to bring her along for the ride? It's a chin scratcher, really. For now though, you can pick up and play the game. It can be downloaded (regardless of region) for free from the Japanese iTunes. You will need a Japanese iTunes account, of course, so read up on those instructions here. Archie's Mega Man #34 is almost upon us and as you may recall, this issue will feature the debut of the Mega Man X back-up comic. So in honor of that, Comic Book Resources has conducted an exclusive interview with writer Ian Flynn and editor Paul Kaminski to discuss the adaption. What's more, there's a couple of preliminary pages from the X story. 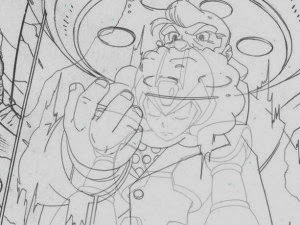 There's a glimpse of Dr. Cain (in archaeologist duds, no less) happening across X himself, and another panel depicting X assisting Cain the development of a Reploid. In all, very promising stuff. Don't dawdle; head to Comic Book Resources and check it out! 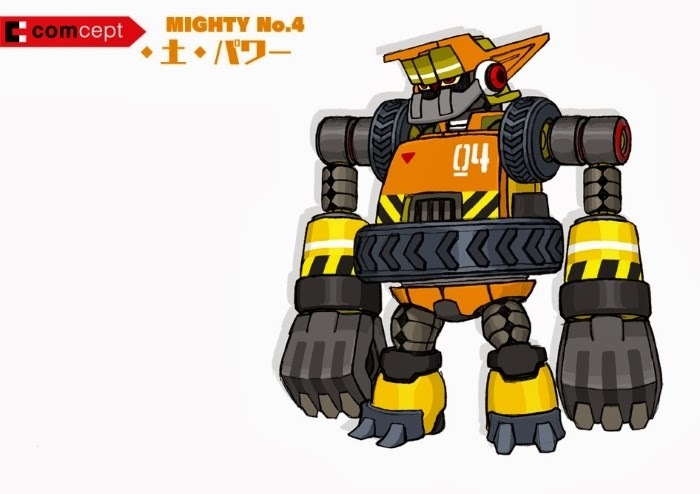 Comcept has (secretly) revealed the first gameplay images of Mighty No. 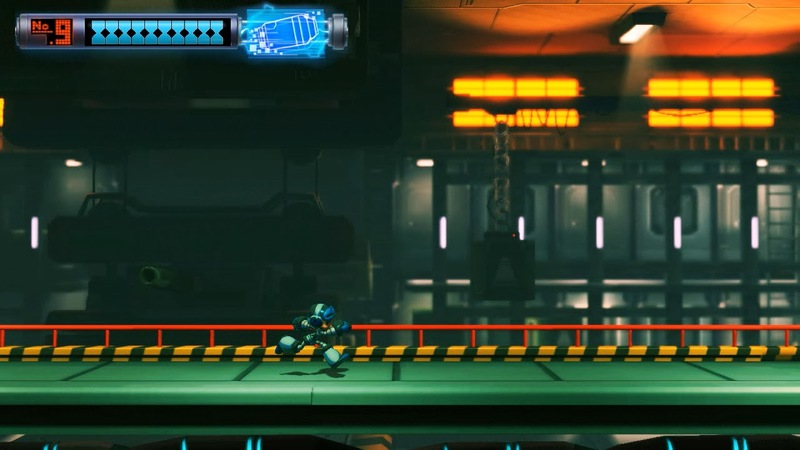 9's alpha build, providing a small glimpse of what's to come from Mega Man's spiritual successor. Hit the jump below for three additional images. It's important to note everything seen here is work-in-progress. These are rough, placeholder assets that are subject to change as we move from alpha to beta. Nothing is reflective of the final product. Neverthless, it's nice to finally look at something that isn't a target render. "On the eve of the MEGA MAN/MEGA MAN X Crossover comes the TWISTED tale that could only be called “A Chance at Redemption”! 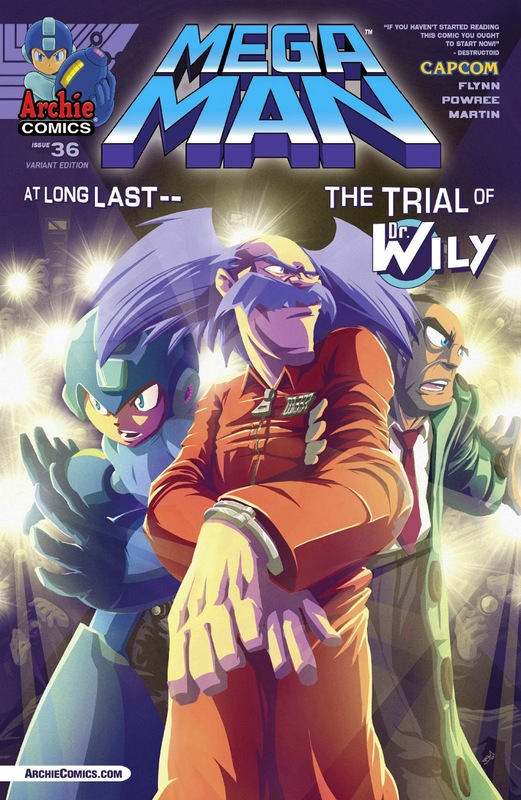 Dr. Wily is a free man, cleared of wrongdoing, and it’s all thanks to–Mega Man?! Can even an evil villain like himself live with a lie of that magnitude? Can he enjoy a life of robotics research next to his “frenemy” Dr. Light? Will the promise of power in Gamma be far too tempting? The answer to all your burning questions lie in this mega-fun issue! Plus, be sure to pick up both regular and variant editions to read both SHOCKING “post-credits” alternate endings! Includes cover art by Patrick “SPAZ” Spaziante and a stunning “TRIAL OF DR. WILY” variant cover from rising MEGA-star Brent McCarthy! Script: Ian Flynn Art: POWREE, Gary Martin, John Workman and Matt Herms Cover: Patrick “SPAZ” Spaziante Trial of Dr. Wily Variant Cover: Brent McCarthy Shipping Date: 4/2 On Sale at Comic Specialty Shops: 4/16 32-page, full color comic"
Yup; it sounds like we're finally approaching a Mega Man 3 adaption. Finally. This should be interesting! 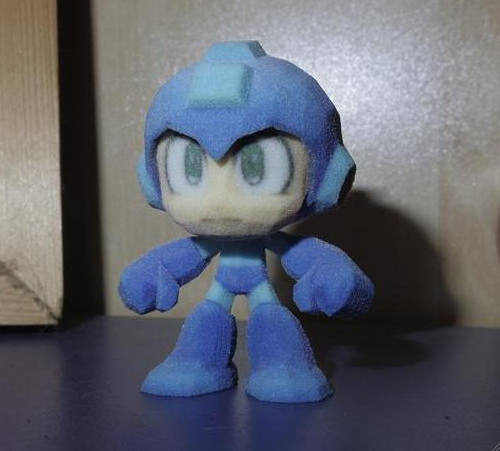 What do you do when you have a 3D printer and access to video game models with low to moderate polygon counts? Why, you make some figurines! That's exactly what Vidalcris did with Mega Man and Mega Man X's models from Mega Man Powered Up/Maverick Hunter X. They're small, but perfect recreations -- and they're for sale, too. 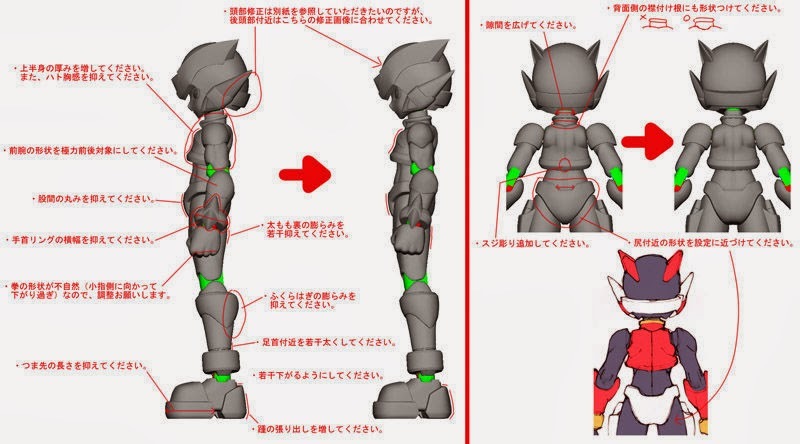 Mega Man stands at 50mm, Mega Man X at 60mm. 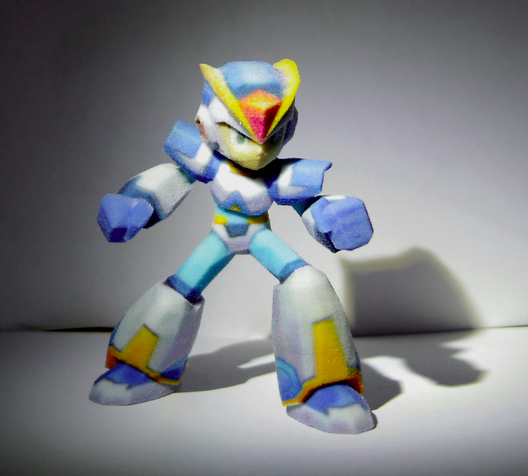 For the creative folks out there you can order a 10-inch, completely blank Mega Man figure... yours to paint! Pretty cool, wouldn't you say? Hit up those links if you're interested. 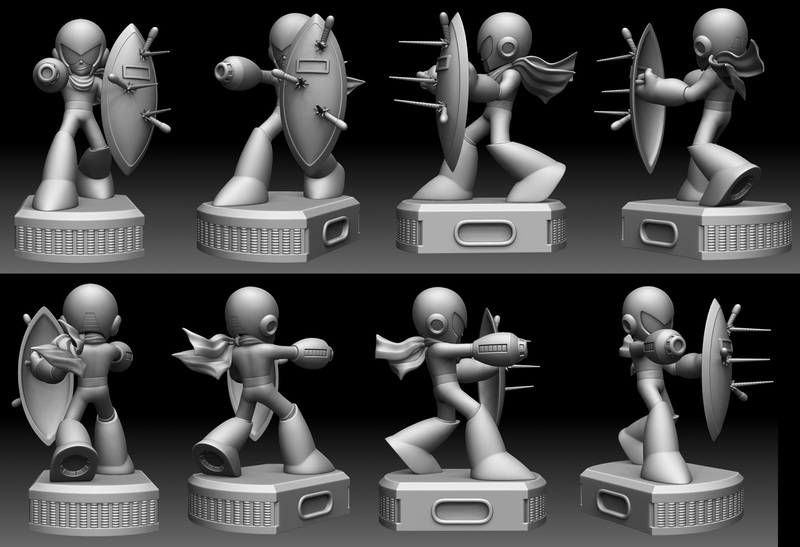 Personally, I wouldn't mind a whole set of Mega Man Legends figurines. That's about as low poly as we can get! Bring it on. November 2012, Capcom filed a trademark for the title Fighters of Capcom. The name could have belonged to a new crossover brawler. Or, at the least, the localized title for Japanese mobile card battling game Capcom All Stars. Today though, both possibilities have been dashed. On January 6th, 2014, the Fighters of Capcom trademark was officially abandoned. The US Patent and Trademark Office has classified the title as "Abandoned because no Statement of Use or Extension Request timely filed after Notice of Allowance was issued." Of course, Capcom could revive the trademark somewhere down the line, but the fact that they let it expire suggests whatever game it belonged to is no longer on the radar. Matter of fact, Capcom are no strangers to abandoning trademarks for unreleased titles. 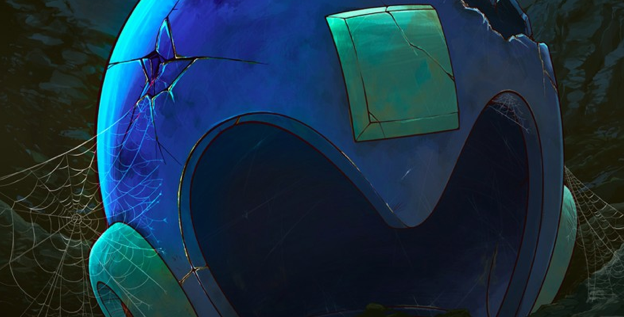 The localized trademark for EX Troopers was dropped in January 2013, and Mega Man Universe -- the ill-fated D.I.Y Mega Man game -- expired in June 2011. It's difficult to say if this is a major loss. After all, we never actually knew what Fighters of Capcom was. Well... that's that, I suppose. Back to dreaming of "Capcom vs. Capcom." 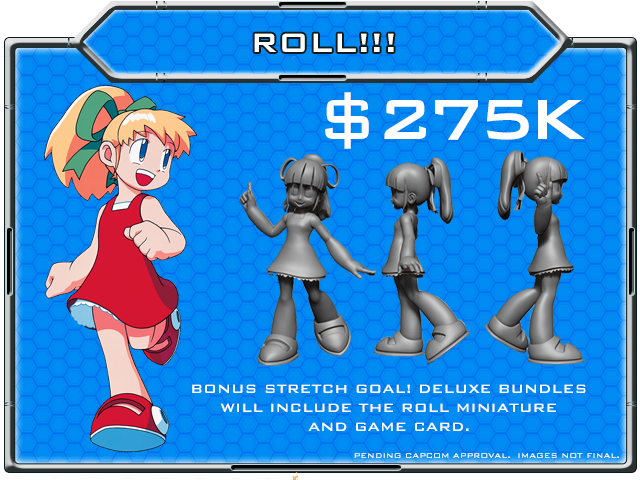 The final days of the Mega Man board game Kickstarter campaign are upon us. Funding ends Sunday, January 19th at 12:58 PM ET. Time grows short so if you'd like to squeeze in a pledge, do it soon! For the uninitiated, the board game is Capcom-licensed and produced by Jasco Games. 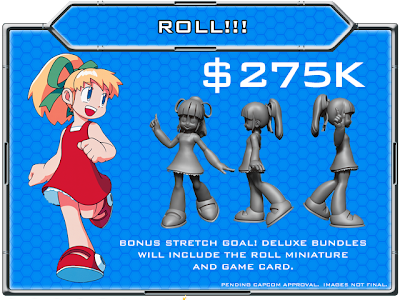 The Kickstarter was a success in a single day, and has since reached several stretch goals. The next stretch at $350,000 is a golden Mega Man mini figure. Of course, there's plenty more knick-knacks to strive for. Head over to the Kickstarter page and have a look. Jasco (and Capcom) appreciate all the support. Let's drive this home! 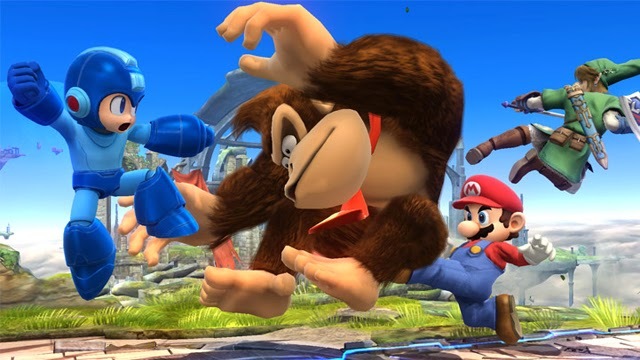 Sakurai Talks Mega Man's Design in Super Smash Bros. Since the announcement of Mega Man's much deserved inclusion in Super Smash Bros., there's been a lot of debate in regards to the look of the robot. Some fans welcome this modern take on the character's design, others not so much. I've seen some say that it throws out the years of evolution his design has had since the NES days, deeming it a "deevolution" or a "relapse." 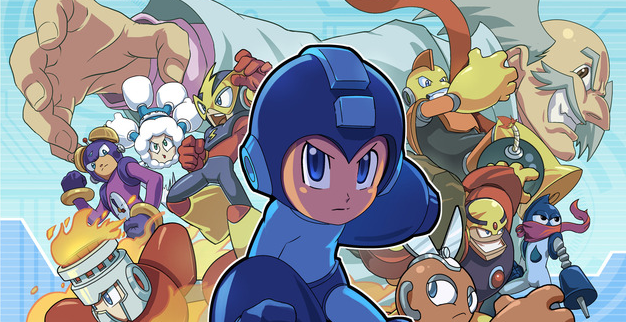 In all, there is one thing both sides can agree on: Mega Man looks different. But why? Picking up where WolfPackProductions left, the folks at Irregular Hunter Productions have rescued Rockman.EXE Stream from fansub limbo. They are striving to finish subbing the rest of the series (episode 26-51) AND clean up polish earlier episodes (1-24) done by previous sub groups. Commendable stuff, no? So if you're a fan of the show, be sure to bookmark Irregular Hunter Productions for status updates. And hey, if you feel like lending a hand for future releases, hit up the recruitment page. Help is very much appreciated. Thanks for the tip, Rong! Capcom's free-to-play iPhone game, Sound Rangers: Rhythm & Battle, is seeing the addition of another Mega Man character: Mega Man Legends 3's Aero. Wait, what? It's quite true. The official Sound Rangers Twitter is currently teasing the Legends 3 heroine as the next Mega Man representative. No real indication when she'll show up... but it's happening. I am just as confused as you are, I assure you. For the uninitiated, Sound Rangers is an RPG with Elite Beat Agents flare. Players tap and hold colored buttons in time to onscreen prompts while music plays. Some of these stages feature characters, graphics and music from iconic Capcom IPs, like Mega Man. 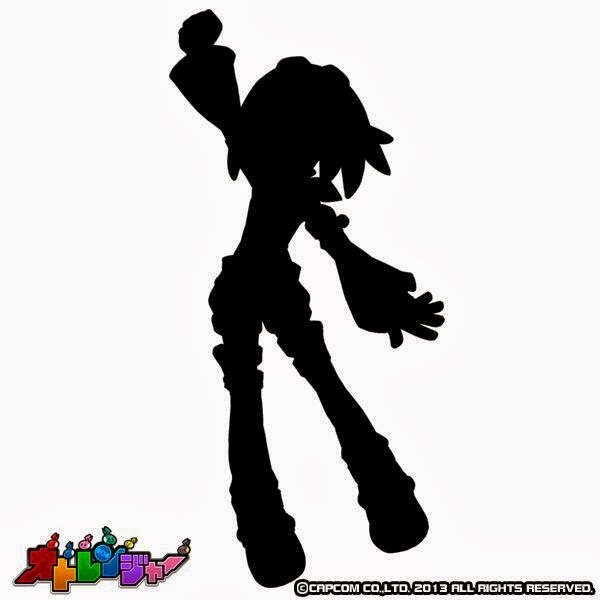 Bearing that in mind, it would appear Aero is poised to appear in the game, maybe even with her own stage and unique set of music. Mega Man Legends music? Mega Man Legends 3 music? Who knows. Anyway, it's unusual Capcom are choosing to throw in a character from a cancelled project. I mean, of all the characters in the Mega Man universe, they're going with Aero? Very curious. Until further details arise, it couldn't hurt to speculate. We'll keep you posted. 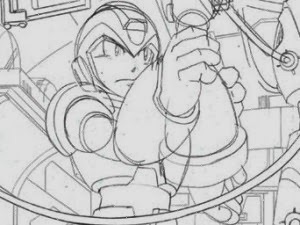 Capcom has unearthed four previously unreleased tracks from the original Mega Man X. The four tunes were included as a bonus track on the 12th disc of the newly released Rockman X Sound Box collection. Because the set isn't particularly cheap, we've gone ahead and gutted 'em for you. The first piece is, assumingly, an unused stage select theme. This is followed by alternate/early compositions of existing themes: Chill Penguin stage (00:48), Maverick encounter (2:21), and Sigma stage 3 (3:00). So maybe not as earth shattering as we originally hoped. Still, it's neat Capcom held onto these pieces for so long. What do you make of the unused stage select? A little too upbeat for my tastes. Thanks to SuperMega233 for the upload! In commemoration of Mega Man X's 20th anniversary, Rockman X manga artist Yoshihiro Iwamoto whipped up this rather dashing display of X and Zero. 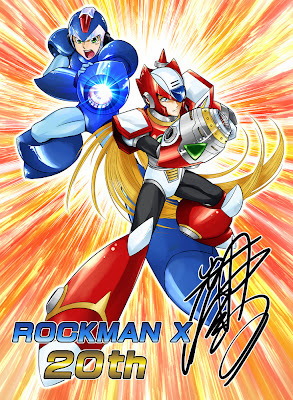 Though his X adaption has long ended, Iwamoto acts as an affiliate to the franchise as a whole, producing content for art books, Rockman Xover, and even one or two D-Arts figures. Better late than never, wouldn't you say? Japan having received the game in October, and Europe getting a hold just a short while ago, now folks in North America can finally enjoy Mega Man X2 on their Wii U, off-TV play and all. The game will run you $7.99 or $1.50 if you own it on Wii. Hey, maybe we'll get X3 this year?